What is fideism and what does it have to do with what Montaigne demonstrated about skepticism? 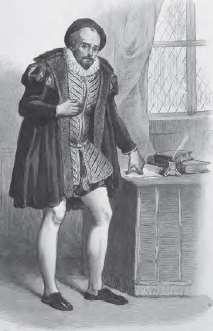 Montaigne (1533–1592) demonstrated how skepticism could be a double-edged sword: it could be used to reject irrational claims, and it could be used to attack the certainty of any body of knowledge, including scientific knowledge based on the senses and the conclusions of logical reasoning. This made skepticism extremely useful for Catholic theologians attacking the claims of Protestants, and vice versa. Today, we think of skeptics as those who require careful scientific evidence for claims and judgments. Usually a skeptic is someone who will not take anything on faith. But Montaigne showed that even the best evidence, including sensory information, can be doubted, so that for him, the skeptic is someone who is better off relying on faith. What Montaigne had in mind was not only faith about knowledge that could not be proved to a certainty, but a life of faith in which all attempts at rigorous knowledge were avoided. This is known as fideism. Michel de Montaigne showed that skepticism could be used to effectively argue for either science or religion (Art Archive).